Today I’m honored to have Taryn Hipp pop in and say hello. She recently published her memoir novella Heavy Hangs the Head. Without further ado, here she is. I wrote a book. I did that. I sat down for months and spent hours a day putting all of these thoughts & memories down on paper. It was painful, at times excruciating and I spent many late nights wondering why I was doing this. When I was finished someone read it, made changes and eventually it was sent to the publisher. A few weeks later, a book existed and my name was on the cover, my photo on the back. I wrote a book. I did that. As a zine maker for so many years I never thought about publishing anything other than zines and never did I imagine someone else would publish my work but there I was, the author of a book published by a book press. Suddenly I was walking this line between self-publishing, do-it-yourself zinester and published book author and it was confusing. Did this book make me a more legitimate writer? My parents seemed to think so. But I wasn’t sure because my years of do-it-yourself living really never prepared me for what would happen when I was a published author. People started talking about the book as if I had never created anything before in my life, like I had never written anything ever. At first, I was sort of angry. My zines were important and I was really proud of them. Why didn’t anyone appreciate them? But then I realized that maybe this book was the beginning of something new, something different, something I had been waiting for without even realizing it. This book wasn’t about being more “important” and it didn’t mean my zines were ignored, unappreciated. This book meant that there was a new challenge and I had stepped up to it. Heavy Hangs the Head was the result of stepping out of my comfort zone and doing something I wasn’t comfortable with. This book and the reaction it was receiving was the result of all those nights where I was emotionally wrecked from going through my divorce, my addiction, my rock bottom over again. It was me. I was the one who wasn’t appreciating the book the way it deserved to be appreciated. I had become so overwhelmed by the process that when it was over I was too drained to really grasp just how important it was. Heavy Hangs the Head tells my story, to the best of my ability and lays the groundwork for a future that can be free of the demons that once plagued me. It is my defense against my own feelings of inadequacy when I see other people who are “smarter”, “prettier”, more “successful”. I can hold this book in my hands and read the story of how far I have come and be proud of every day I get out of bed and go to sleep, sober. This book is a testament to my strength and it’s no more important than my zines or any other writing I’ve done, it’s just different which is not only ok, but encouraging. Heavy Hangs the Head shows me (and maybe others) that nothing is impossible and that opens up a million tiny doors into realms of possibility. 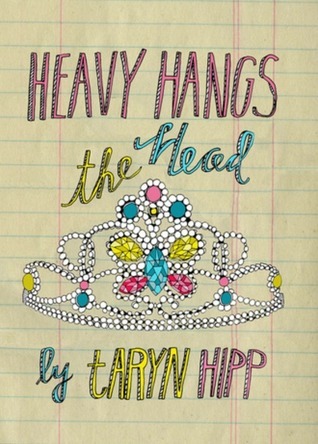 Heavy Hangs the Head is a memoir novella about a woman with an addiction, a mental illness, and a feminist identity. It is the story of one woman’s journey from anxiety-ridden child to delinquent teenager to divorced alcoholic. This is the story of how she turned all those years of experiences into a beautiful existence. Taryn Hipp is an old tattooed college lady who has been making zines for more than half her life. 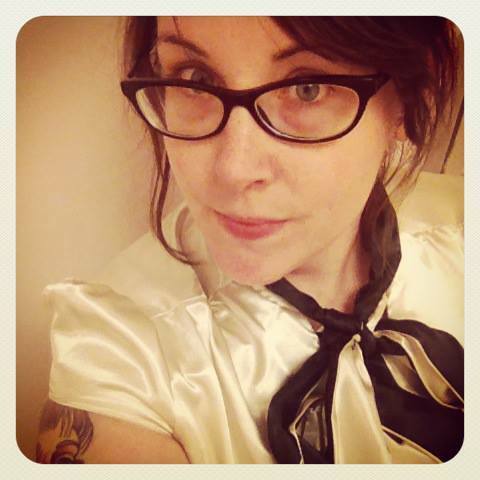 Currently she writes the perzine “Ladyteeth,” a collection of stories about her experiences being depressed, getting divorced, getting sober, & falling in love. This entry was posted in Book Tours, Guest Posts and tagged Book Tour, Guest post, Heavy Hangs the Head, Memoir Novella, Sweet Candy Press, Taryn Hipp. Bookmark the permalink. Love the introduction to new authors. Nice! It’s fun to learn about them! Did I ever need to read this or what??? I seem to get more depressed the more I write at the moment. I didn’t think that doing what I’ve always wanted to do ie write my memoir, would be so darn, as Taryn so eloquently puts it, excruciating. But reading this gives me s o m u c h h o p e to keep pressing on. As do you TB! This is a book I would love to read. Thanks so much to both of you for this. I really admire people who sit down to pen their memoirs. It’s can’t be an easy task and I’m so happy to hear that this encouraged you. Bravo Sherri. You’re much stronger than me. I understand. if it helps, I think you are. What a release it was to write this book. Also, I think many writers don’t realize the immensity of what they do. I enjoyed reading this post. I can’t imagine the feelings associated with writing a memoir. Not sure I’m strong enough to go down that path. I admire those who do. Sounds like it was great therapy to write it. Both the book and your zines are important. That also makes you something else – a hybrid author. That’s the best of both worlds. I hadn’t heard about hybrid author’s until last spring when I attended the London Book Fair. That seems to be the next big thing.